My excellent brand of MSM powder is molecularly distilled and outstanding in its efficacy. We can only get powder at this time – doesn’t taste great – but it has AMAZING effects! 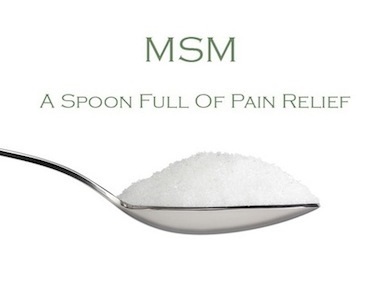 Astonishing new uses for MSM include relief from lupus, snoring, breast cancer, colon cancer, parasites, muscle soreness and cramps, diabetes, eye health, stress and mental disorders. The three most popular and effective applications of MSM are in treating asthma, allergies and arthritis. Asthma: MSM is useful in treating asthma by regulating the fluid that covers the airway surface of the lungs, and by preventing an inflammatory response. It also has a normalizing effect on the membrane surface of the lung, and helps to regulate the exchange of gases. One study showed that MSM substantially increased lung capacity in a group of patients with emphysema and lung tumours. Allergies: Sulfur is important in alleviating allergies by detoxifying the cells and eliminating free radicals. An allergic response happens when the immune system reacts to substance called allergens, which are foreign bodies in the system. MSM helps stabilize cell walls and increase permeability and elasticity, allowing them to flush out toxins and foreign bodies, including allergens. MSM is also important for enhancing lung function. Studies have shown that supplemental MSM can control allergic responses in only a few days, and the anti-allergenic properties of MSM are equal in effectiveness to antihistamine. prevents cartilage degeneration: one study at Oregon Health Science University found that animals that were given MSM showed no degeneration of cartilage associated with rheumatoid arthritis. You can order your MSM here sallyanncreed.co.za/product/maxi-msm/ – I MUCH prefer powder, you never know what’s in capsules! MSM (methyl-sulfonyl-methane, or dimethyl sulfone) is organic sulfur, a naturally occurring compound in the human body. In its purified form, it’s an odourless white crystal with a slightly bitter taste. At moderate levels, it helps to ensure the proper functioning of various body processes, including healthy skin, nails and hair. At higher levels, it can function as a pharmaceutically active agent for a variety of uses, including treatment for allergies and asthma, parasites, digestive disorders, arthritis, muscle soreness and cramps. Other research hints at the use of MSM in diabetes, mood disorders and other applications. In nature, MSM originates with plankton, which release dimethylsulfonium salts (sulfur compounds that are transformed into DMS in ocean water). DMS rises as a gas into the upper atmosphere where it’s oxidized into DMSO and MSM in the presence of ozone and ultraviolet light. These two compounds dissolve in atmosphere moisture and return to the earth in rain or snow. DMSO and MSM then enter the roots of plants through the soil. In the plant, sulfur and other minerals are bound to carbon and further covered into an absorbable form for humans. MSM is present in meat, fish, eggs, poultry and milk, and in lesser amounts in grains, legumes, fruits and vegetables – especially onions and garlic (hence the characteristic odour), asparagus and cruciferous vegetables. It’s also found in horsetail herb, spearmint, tea and coffee. But because mineral depletion of the soil is an ongoing concern, and because MSM is lost in the storage and preparation of foods, dietary sources may not be adequate for maintenance levels of MSM – and most certainly are not adequate for therapeutic levels. Sulfur is an indispensable component in human nutrition. It’s found in every cell in the body, and is structurally and functionally important to 150 compounds, including hormones, enzymes, antibodies and antioxidants. Sulfur itself is held mainly in the muscle, skin, bones, nails and hair. MSM has been found in the blood, and occurs at about 0.2 parts per million in an adult man. Ingested, MSM provides the essential sulfur necessary for a number of body compounds. Sulfur is an essential component of various compounds and processes in the body, and is necessary for the synthesis of collagen, immunoglobulin and enzymes. In the body, sulfur maintains cell membrane flexibility and permeability, promoting an efficient exchange of nutrients and waste products. It also ensures connective tissue health and the formation of collagen. (Also stops wrinkles and early ageing!). MSM provides the body with raw materials needed to create new cells, to repair and replace damaged tissues and organs. It figures into energy production, as a component of insulin and prerequisite for normal carbohydrate metabolism. When plants take up DMSO and MSM from the soil, they convert them into the amino acids methionine and cysteine. The two other sulfur-containing amino acids – taurine and cysteine – are further synthesized in the body, MSM gives up its sulfur to form methionine and cysteine. the sulfur-containing amino acids are known to protect against the effects of radiation and chelate heavy metals for removal from the body. Other sulfur-containing compounds in the body include insulin, the hormone that regulates carbohydrate metabolism, keratin, a protein that’s the primary component of skin, nails, hair and teeth; collagen, the protein that forms bones, tendons and connective tissues, glucosamine, the building block for tendons and ligaments heart valves, membranes, eyes, nails, skin and bone, glutathione, one of the primary antioxidants in the body. In theory, an adult should be able to eat adequate MSM from food. In practice, it’s unlikely – again, because of mineral depletion, food processing and storage techniques. It has been speculated that the body needs higher amounts of MSM than it may get in a modern diet. In the body, the highest concentration of MSM is in breast milk – perhaps because a growing baby needs it to boost a developing immune system, combat allergens and make an easier transition from umbilical feeding to oral feeding. The concentration of MSM in the body begins to decrease over time, so deficiency may occur as part of the ageing process. Sulfur deficiencies are associated with brittle nails and hair, scar tissue, slow healing wounds, arthritis, acne or other skin disorders, depression, memory loss, gastrointestinal problems and immune disorders. Snoring. MSM in a 16% water solution provided a significant reduction in snoring in 80 percent of human test subjects. Systemic Lupus erythematosus. MSM was shown to have a protective effect before and after the onset the disease. Animals given MSM in their water supplies had lower death rates and liver damage than the control groups, and had a longer life expectancy. Breast and Colon cancer. Oral MSM may help protect against the onset of breast cancer. Animals given MSM showed a delayed onset of tumours, equivalent to 10 years in humans. Dietary MSM also delayed the onset of tumours in the colon. Pain control in arthritis. Human volunteers showed a 60% improvement in pain after taking 2.5 grams of MSM per day for four weeks. After 6 weeks, the improvement rate rose to 82%. Parasitic infections. Tests suggest that MSM can help lessen or cure parasitic, microbial and fungal infections at levels of 750-1500mg per day. MSM is considered very safe. Toxicity is extremely rare: the lethal dose of MSM in mice was found to be more than 20 grams per kilogram of body weight. No toxic effects were shown in humans given up to one gram per kilogram of body weight per day for 30 days. Few long-term studies have been done, but one unpublished study found no side effects or measurable toxicity in volunteers using MSM during a six month period. There is no standard recommendation, but some guidelines suggest between 500mg, and five grams a day for maintenance purposes. Based on studies the suggested therapeutic dosage of MSM ranges from 2 grams to 10 grams a day.